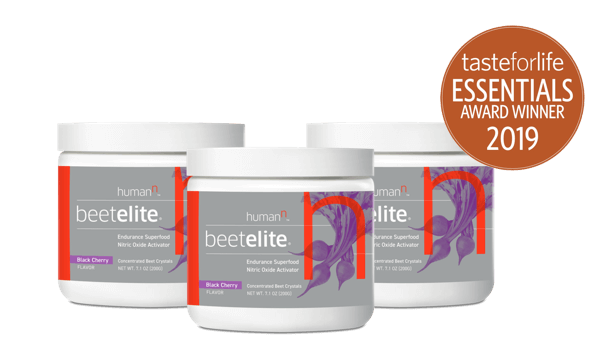 Austin, TX – March 21, 2019 — HumanN, a leader in functional nutrition is thrilled to announce that its best-selling BeetElite has been awarded an Essential Supplements Award by Taste for Life Magazine! 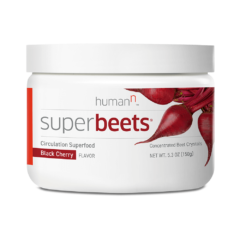 Committed to excellence, HumanN sources non-GMO beets grown in the U.S. and uses the highest quality seeds in a nutrient-rich environment, resulting in a consistently high concentration of dietary nitrates and nutrients necessary to produce Nitric Oxide in the body. 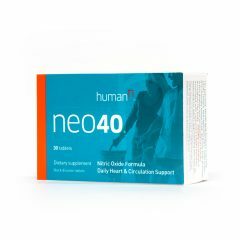 HumanN uniquely tests every batch of BeetElite to verify that each beet can activate Nitric Oxide synthesis. The product is also now Informed-Sport certified, meaning it’s certified to be free of banned, performance-enhancing substances –what you see on the label is what you get. Formulated to promote extended exercise endurance, BeetElite is proven to increase oxygen delivery, and improve energy in just 4 ounces, compared with 32 oz. of beet juice required to achieve the equivalent levels of Nitric Oxide. In a clinical trial, BeetElite was shown to increase participants’ lactate thresholds, while working at a higher power output versus placebo. These positive results mean BeetElite can help people work out longer and harder, and recover faster. 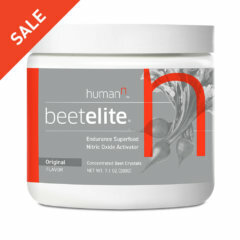 BeetElite is a trusted favorite of over 140 collegiate and professional sports teams, athletes, and dietitians. 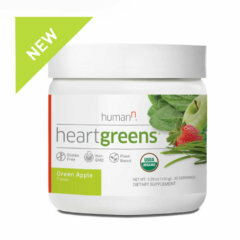 HumanN is redefining how people think about nutrition and the human body. 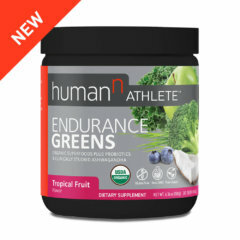 As an emerging leader in functional nutrition, HumanN’s science-backed products are used by over 1,400 medical professionals, 140+ collegiate and pro teams, and several Olympic athletes. To date, HumanN has completed ten clinical trials on their industry-leading functional foods in conjunction with world-class institutions such as the University of Texas, Cedars-Sinai, and University of Iowa. 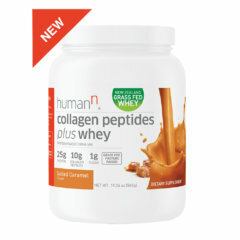 HumanN was also the recipient of the prestigious Nutrition Business Journal Science Award in 2017 for its dedication to science-backed products and work to redefine how people think about nutrition and the human body.